Published By – Kobalt Music Publishing Ltd.
Phonographic Copyright (p) – x2 Recordings Ltd. Copyright (c) – x2 Recordings Ltd. Released in a gatefold cardsleeve. Track 3: Theme for the 2015 Berlin online TV show, The One-Hit Parade. Published by Cage Music Ltd/Kobalt Music Publishing Ltd except 'One-hit wonder' published by Cage Music Ltd/BMG Rights Management (UK) Ltd.
℗ and © 2016 x2 Recordings Ltd under exclusive licence to Kobalt Label Services. hope soon for a vinyl release! why only digital formats? P.s. fyi......the pet shop boys climb from #19 last week, to #10 on the billboard dance club charts this week! Excellent review by "robotrock 04". Who is right on the money about this wonderful new psb single. I can't wait for the "super" new cd from this long enduring pop UK duo. Who sadly are mostly forgotten about by the USA pop buying public. Even though this brilliant single is top 10 on a billboard dance chart this week. :-). I pre ordered this single for 7.99 & free shipping from another site, and I received it last week. I like the digipack styled case that it comes in. A great lead single from the upcoming Super album that manages to be one of the most effortlessly danceable songs they've ever done. I'd even go so far to say that it's their strongest lead single since 1993's 'Can You Forgive Her'. And thankfully, PSB have continued their tradition of putting actual B-sides on their singles. The two on offer here are very good: you've got 'One Hit Wonder' an instrumental based on one of their earliest compositions, written all the way back in 1981! It sounds like its landed in 2016 more or less untouched from that era - it's a perfect slice of upbeat 80s synth-pop. 'In Bits' is a mid-tempo number which continues that Pet Shop Boys' tradition of meshing lyrics about failed relationships to more uplifting sounding music. Lyrically it's not new territory for them and they've covered the subject much better elsewhere, but it has an irresistible melody and Neil Tennant's sombre vocal is great which makes the track strong nonetheless. 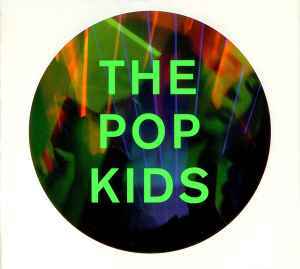 Finally, there's two remixes of 'The Pop Kids' also, both of which done by Pet Shop Boys themselves. Maybe alternative mixes is more appropriate though, as one is a dub mix which really highlights just how much of a retro throwback to the 90s this song is - at times it sounds more than a little like Playing With Knives by Bizzare Inc. The other mix is called The Full Story and it's basically an extended mix. It has an extra verse which brings the story of the lyrics up to the present day, though why they just didn't make that the standard album version to begin with is beyond me. I find that quite bizarre. Likewise no sign of a vinyl single is strange too, given that this is one of their most club-friendly songs and the Super era is very much about celebrating retro dance culture. Nevertheless, 'Inner Sanctum' was pretty good but 'The Pop Kids' is excellent. If the rest of the album is as good then Super will be just that!